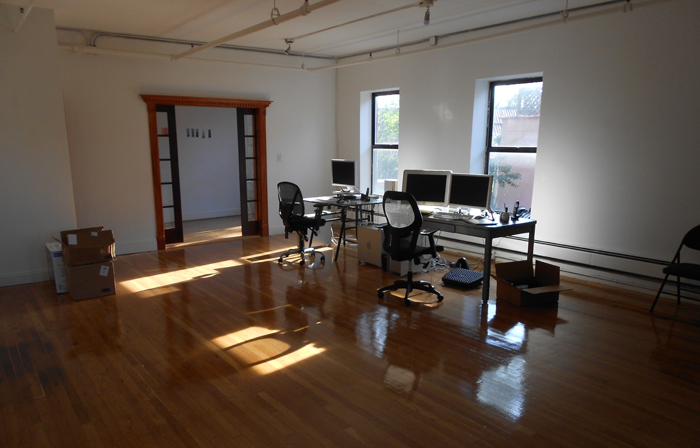 Here’s a look at our new space. As you can see this is just our initial set-up. Furniture, machines, artwork and much more still to come! Hey Dan! The new place looks great! Im glad you are doing it up, in NYC. I am working for my friend’s startup in Burbank, called SynapticVFX. Check us out: http://www.synapticvfx.com. Perhaps, we can work together in the future. I would like that. Hope you are well. Good luck in the new year! Yo Aaron, thanks for stopping by the site. Glad to hear things are going well for you out west. The place you’re working looks fresh, love the work and studio shots. Next time you’re back east swing on by the studio! Talk soon man.